Enroll in my free 5-day email course and upgrade your hand reading skills in the next week. 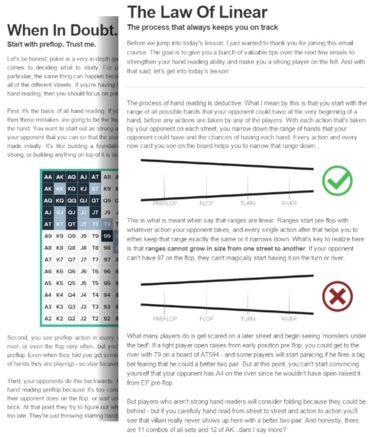 The better ranges you assign, the easier it is to exploit your opponents! James Sweeney, aka SplitSuit, has been playing poker for over a decade and coaching players for more than 8 years. 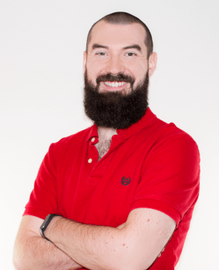 Over that time he's worked 1-on-1 with over 500 students to improve their strategy, he's released over 300 videos, wrote the best-selling book Dynamic Full Ring Poker: Beyond The Basics and co-founded Red Chip Poker to create the best poker community around. W H E R E D I D T H I S C O U R S E C O M E F R O M ? This email course was inspired by The Hand Reading Lab - my comprehensive video course that shows you how to hand read at every point in a hand. Stop guessing what your opponent is holding and start knowing their range with precision.